All STONEBROOK PHASE 2 homes currently listed for sale in Surprise as of 04/23/2019 are shown below. You can change the search criteria at any time by pressing the 'Change Search' button below. 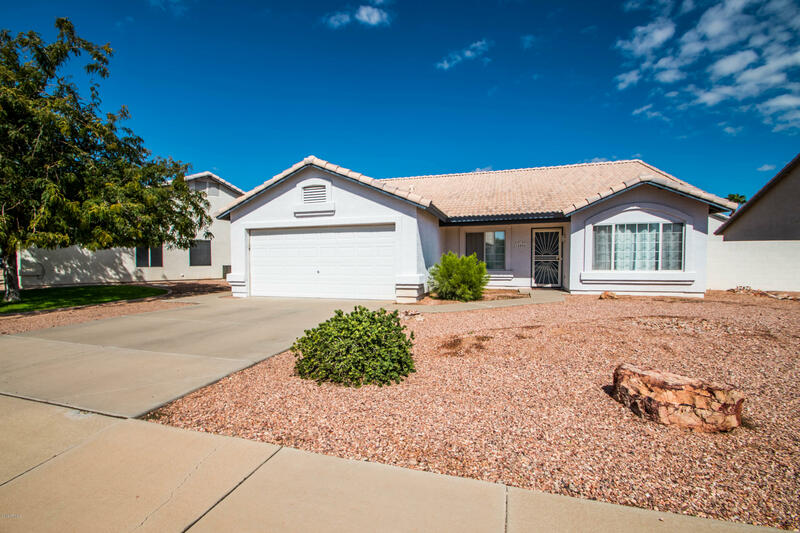 "This cozy 4BD/2BA offers a TRIFECTA OF GREAT FEATURES including being a SINGLE STORY structure, NO HOA, situated MINUTES FROM SURPRISE BASEBALL STADIUM, SHOPPING GALORE and THE 303, and lastly this jewel has a GREAT FLOOR PLAN! This well-maintained home on a popular N/S lot is dressed with newer stainless steel appliances complemented by a 4-year warranty from Best Buy valued at 8k. SCHEDULE A SHOWING AND SEE FOR YOURSELF. Tenants will be moving out at the end of May, 2019."